The posters, which popped up in Japan, highlight the cast of the movie. Super Saiyan Blue Goku and Super Saiyan Blue Vegeta look fierce, and honestly, I don’t understand how Broly can keep up with them. 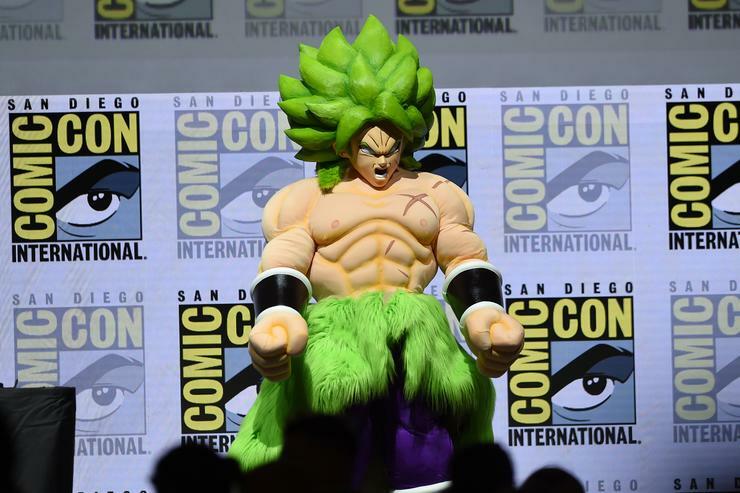 In a trailer released for the film, Broly appears to handle the Super Saiyan Blue forms with ease while in his base form, which places his strength much higher than the last time we saw him. Golden Frieza also looks menacing on his poster, and the infamous enemy might have to team up with Goku and the Z fighters on this one. The Egyptian-God influenced Beerus and Whis share a poster, while Goten, Trunks, and Bulma squad up as well. Hopefully, we’ll get a Gotenks appearance as well. Of course, the most underrated father of the decade, Piccolo, also gets his own poster.